"We are thrilled to be opening San Antonio's first-ever stuffed burger restaurant," said Eric Shernell - Founder and Owner of Mr. Big Stuff's. "We chose the San Antonio area because of its diverse and rapidly growing population. The San Antonio area is comprised of families and residents who desire unique and delicious food, paired with extraordinary service. We are very excited to be a part of the San Antonio community." Mr. Big Stuff’s takes a unique approach to making affordable, high quality food with fresh ingredients. This approach ensures great tasting, high quality burgers that residents are sure to love. Their menu will consist of stuffed beef and turkey burgers, their special “air” fries, homemade potato and pasta salads, as well as their homemade pickles and hand crafted shakes. The restaurant will also serve free bottled water with meal combos and will be host to a wide selection of local and national micro brewed beer. See Mr. Big Stuff’s planned menu here: http://www.mrbigstuffs.com/. The media and business industry are very excited in anticipation of the grand opening of Mr. Big Stuff’s in San Antonio. They are now launching an online crowd funding campaign to assist in their flagship restaurant’s 2015 launch. Interested individuals can take part in the crowd funding campaign and will receive access to some great Mr. Big Stuff perks by visiting: http://www.go.mrbigstuffs.com/. Eric’s passion for food started at a young age when he landed his first job working at a major restaurant chain and went on to craft his skills in a number of different restaurants over the next several years. Eric’s idea is to offer a product that no one else has; made-to-order stuffed burgers prepared with the freshest ingredients and Mr. Big Stuff’s own secret spice recipe. Eric is thrilled to bring his dream into reality with the opening of Mr. Big Stuff’s in San Antonio, Texas. Mr. Big Stuff’s plan is to open more locations in the San Antonio area and expand into other area markets including: Austin, Texas and Dallas, Texas. 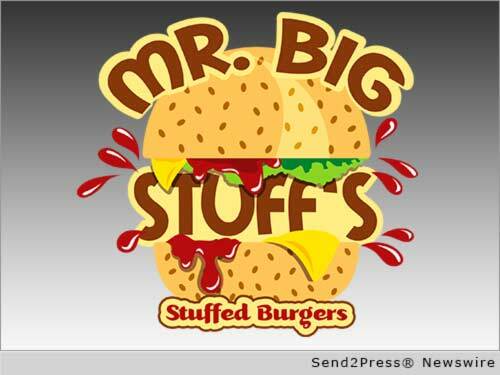 For more information on Mr. Big Stuff’s you can find their website at: http://www.mrbigstuffs.com/. Facebook: https://www.facebook.com/misterbigstuffs and Twitter: https://www.twitter.com/misterbigstuffs.